buckram covers, headbands and satin marker ribbon. 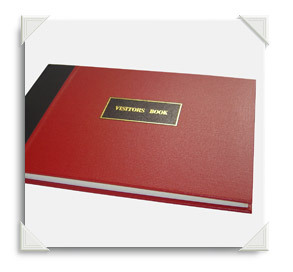 The printed pages include spaces for date, guest name, address and remarks. your foyer, guesthouse / B & B or reception area.